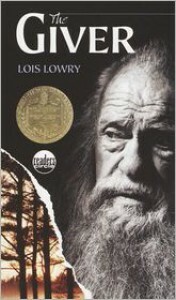 The Giver is a classic YA dystopian. In fact I had to read it for sixth grade English. I even still have my copy with its highlights. It features Jonas who lives in a strict society. We see the book through his eyes so initially everything seems normal. But as the book goes on we learn how everything is assigned from their job, their spouse, children, etc. At age 12, children are given a career path. Jonas is assigned the mysterious job of the Receiver. He meets the Giver who holds many human memories that he uses to advise society and he passes on the memories to Jonas. As Jonas learns about colors and love and family and what life can be like, he also learns to horrors of his community and must decide where his future and that of society should lie.